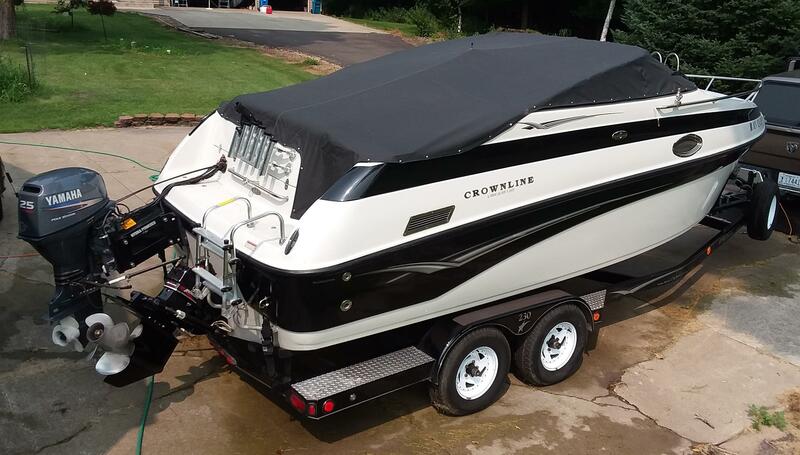 This classic freshwater Uniflite has much to offer; Lowrance XC 25 Icebox Alcohol Stove Custom spoom cabinet Tolling plate Road trailer All new cushion covers And more! Call today for details! 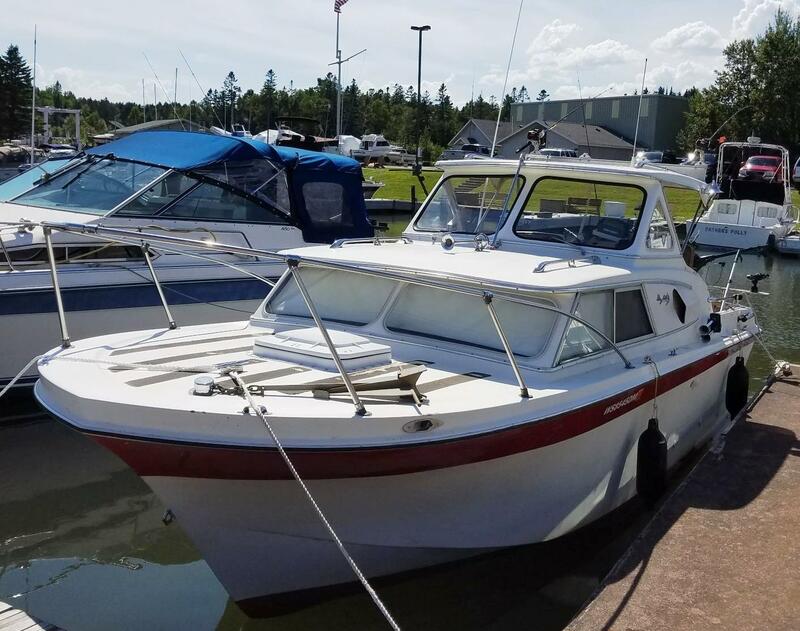 This beautiful, Fresh Water 23” Fiberglass Cutty Cab is a great Dual Purpose Boat - Cruising or Fishing. All of her fishing equipment removes for cruising and trailering. 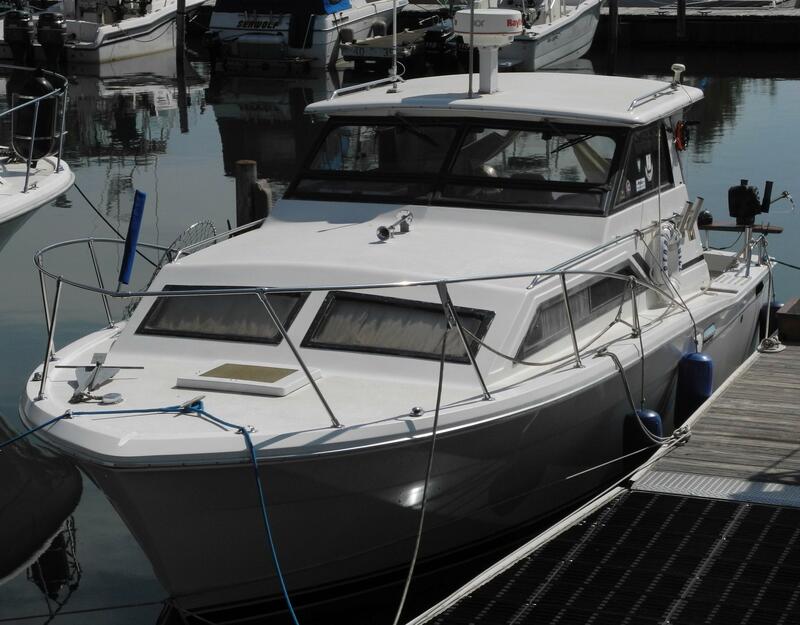 The boat has been well-maintained and stored indoors since new. 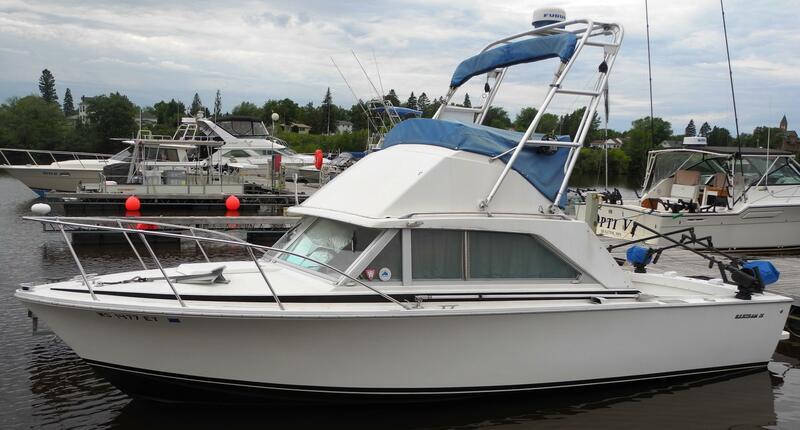 Powered by a well maintained 2003 MercCruiser 5.7L Bravo III 250 HP with Very Low (240) Hours, as well a an Auxiliary 2004 25HP Yamaha 4 Stroke with Gerelic Motor lift, all controlled from helm. This is a turnkey package! Super clean and set up ready to go! You get it all! Rods, Reels, Lures, Cooler and everything you need catch the big ones! 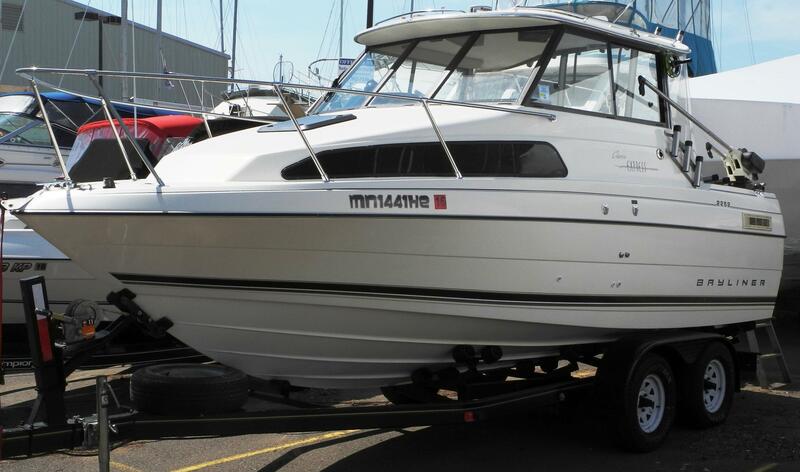 Autopilot- Raymarine Fishfinder GPS- Eagle View Radio VHF Four Electric Downriggers- Cannon Penn 320gt Reel/Downrigger Rods some still new in the packageing Boxes of Fishing Lures 2012 Roller Trailer Don't Miss out. Call today!